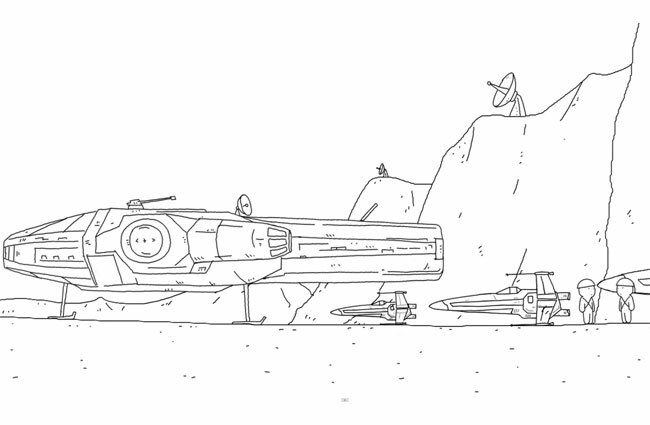 Star Wars fans are sure to enjoy this quick 60 second rendition of the Star Wars Episode IV: A New Hope retold using line drawings and some awesome animation skills. Watch the video after the jump to see it in action. The new Star Wars Episode IV: A New Hope follows on from the other awesome 60 minute versions of Back to the Future and The Matrix, by 1A4STUDIO. The Star Wars Episode IV: A New Hope movie was created with a budget of $11 million and released on May 25th, 1977 and earned $460 million in the United States and $314 million overseas beating Jaws as the nominal highest-grossing film. Only to be beaten itself by E.T. the Extra Terrestrial in 1982. The original Star Wars Episode IV: A New Hope won 10 Academy Award nominations, and went on to win six, with nominations for Best Supporting Actor for Alec Guinness and Best Picture.